For the first time, Friday's Black-Eyed Susan (G2) and Saturday's Preakness (G1) programs from legendary Pimlico Race Course will be streamed live at Pimlico.com and GulfstreamPark.com. Handicappers Alfredo Alfonzo of Videohipico.com and Juan Carlos Palma will host and provide commentary on programs from Pimlico and Gulfstream while race calls will be provided by the popular Pedro Casella. Claudia Spadaro will be live from Pimlico providing updates and interviews with the sport's top stars. Friday's show kicks off with a preview at 10:30 a.m. with Alfonzo and Casella while Saturday's Preakness telecast will begin at 9:45 a.m. with Alfonzo and Casella. Friday's first race at Pimlico is 11:30 a.m. Saturday's first race is 10:30 a.m. with the Preakness scheduled to go off at approximately 6:50 p.m. 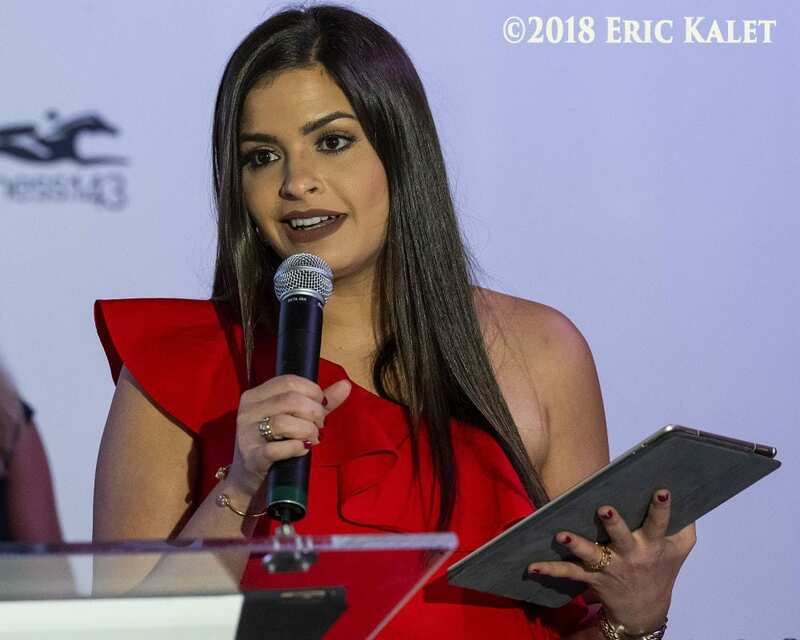 This entry was posted in NL List, The Biz and tagged 2018 preakness, alfredo alfonzo, claudia spadaro, juan carlos palma, spanish language by Press Release. Bookmark the permalink.